A calendar that is not just checking a date. 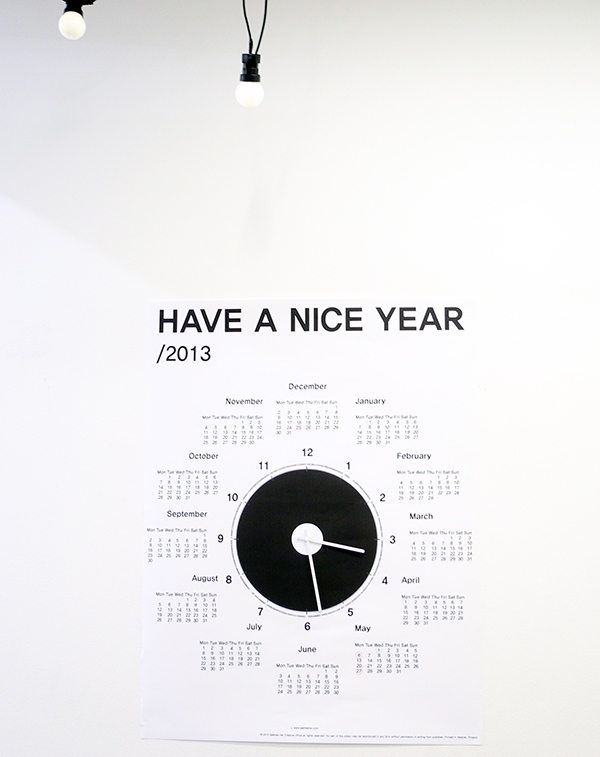 HAVE A NICE YEAR project is about spreading year, month, date, day, hour and second in the one page so that it allows people to look at the time movement of an year of the life time. 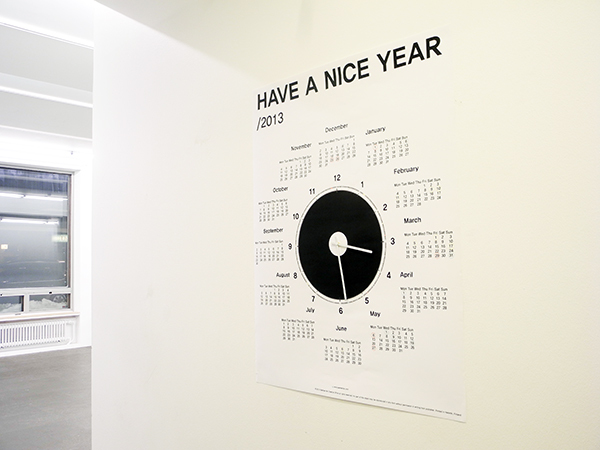 ‘HAVE A NICE YEAR’ calendar offers unique ways of checking dates by moving hours and minutes.